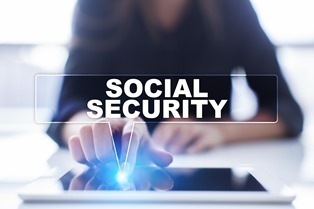 The Social Security Compassionate Allowance Program | Johnson & Gilbert, P. A. What is the Social Security Administration's Compassionate Allowance Program? The Social Security Administration (SSA) was established to provide benefits to people who need them most. While many claimants will receive disability payments within a year of filing for benefits, some applicants may not be able to wait that long for these payments to arrive. For this reason, the SSA created the Compassionate Allowances Program—a way for patients with life-threatening medical conditions to get faster approval for benefits. Patients may be able to collect payment more quickly through the Compassionate Allowances Program if they've been diagnosed with a condition that qualifies them for expedited benefits. Over 200 disease and medical conditions qualify for Compassionate Allowance processing, including certain heart problems, organ failure, immunodeficiency, and multiple forms of debilitating cancers. Patients with qualifying conditions could receive a decision on their claims in a matter of weeks instead of waiting months or years for benefits. How quickly the SSA receives medical evidence. Conditions that qualify for compassionate allowance are so severe that they are automatically assumed to meet disability standards. The faster the SSA receives information from a doctor or other medical source regarding the condition, the faster it can confirm the condition’s eligibility for approval. Whether the claim requires a medical examination. If a condition doesn't meet obvious standards for approval based on objective review of the medical information provided, the SSA may require more evidence to support the claim. This may mean supplemental medical test results and imaging tests or a medical examination of the claimant. Whether the claim is randomly selected for review. The SSA conducts regular quality assurance reviews of the decisions. A file selected for review can delay benefits to the claimant, or even stop benefits that have previously been granted. As many of the conditions that qualify for compassionate allowance are terminal, many seriously ill people die while waiting for the SSA to approve their benefits. One of the problems is that the program requires a mandatory six month waiting period, which some patients simply do not have. Our attorneys can examine your claim to get you the benefits you need as quickly as possible. Call us today or fill out the form on this page to set up your consultation with a Social Security attorney.